(L-R): Co-presenters of the Entrepreneur of the Year 2012 sign a memorandum of agreement to support Ernst and Young Entrepreneur of the Year Philippines 2012 - Development Bank of the Philippines Development Banking Sector Head, Benedicto Bitonio Jr., ; Philippine Business for Social Progress Chief Executive Advisor, Klaas F. Oreel; Ernst and Young Entrepreneur of the Year Philippines Program Director, Atty. Antonette Tionko; Philippine Stock Exchange, Office of the General Counsel OIC, Atty. 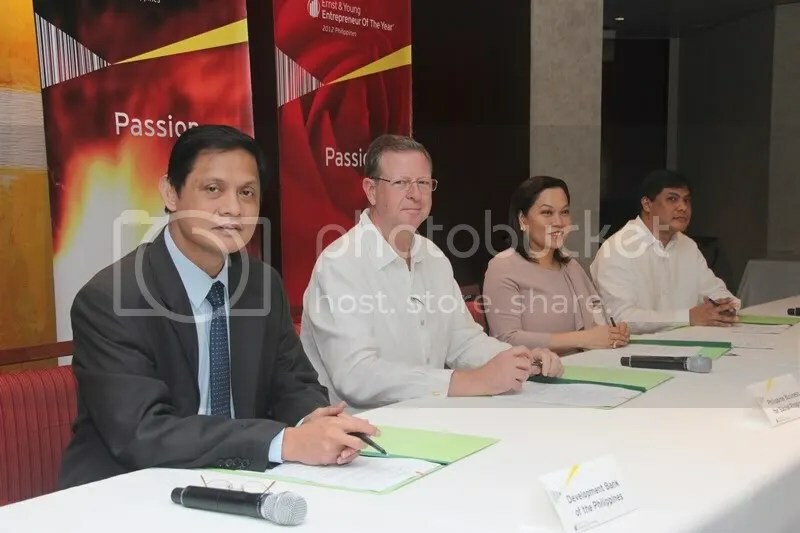 Buenaventura Sanguyo, Jr.
Philippine Business for Social Progress (PBSP) signed a memorandum of agreement last 28 February 2012 to support Ernst and Young Entrepreneur of the Year Philippines 2012. The Entrepreneur of the Year 2012 is managed by the SGV Foundation, Inc. with this year’s theme, Passion. The search is open for all Filipino Entrepreneurs who may join the following award categories: Master Entrepreneur, Small Business Entrepreneur, Industry-Specific Entrepreneur, Woman Entrepreneur, and Social Entrepreneur. The Entrepreneur of the Year will be chosen from the award categories winners, and will be representing the country in the World Entrepreneur of the Year in Monte Carlo, Monaco in June 2013. For nominations, you may contact Entrepreneur of the Year Program Manager, Maria Balmaceda at 891-0307 local 7766/7799 or email eoy.info@ph.ey.com or you may visit http://www.eoyphils.com for more information. Knowing the importance of skills mastery for budding businessmen, the Philippine Business for Social Progress (PBSP) in partnership with Accenture, Inc., and ABS-CBN Bayan Academy created two-day training for BiD entrepreneurs. Sixteen Small and Medium Enterprises (SMEs) owners took part in the said training held last November 28-29, 2011 in Manila to hone their abilities in Self Mastery and Critical Thinking. They also went through series of lectures and workshops on Market, Operations, People, and Financial Assessment, and Investing. 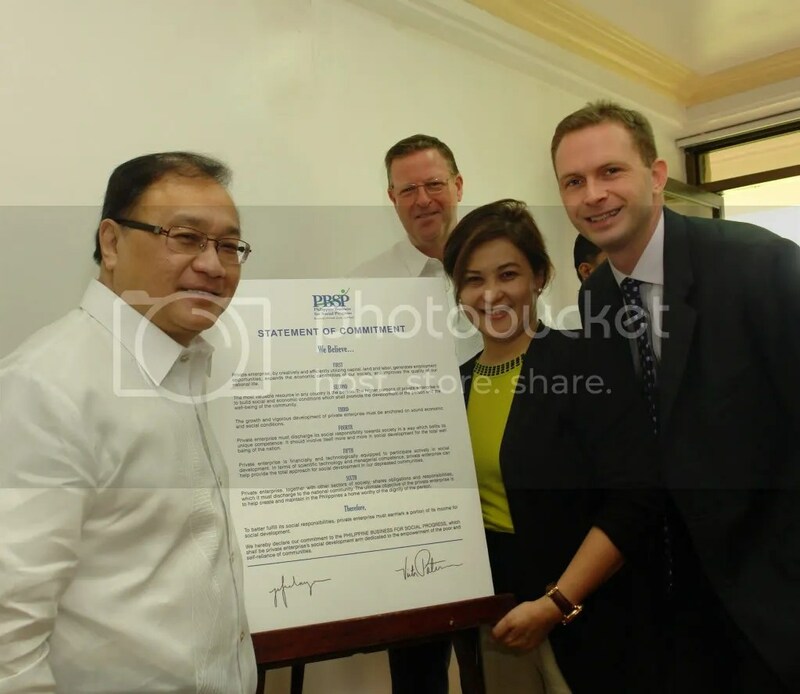 Asia’s leading international airline, Cathay Pacific Airways Ltd. has joined the Philippine Business for Social Progress (PBSP), the largest corporate-led development foundation in the country.